With the a rise in fast fashion, the influence of social media and a focus on direct-to-consumer shopping, it’s safe to say the fashion industry has seen a lot of change in the past decade, but one area of the industry that has been slower to catch up is the curve or plus-size market. Thankfully, there has been more of a focus on celebrating size inclusivity lately. 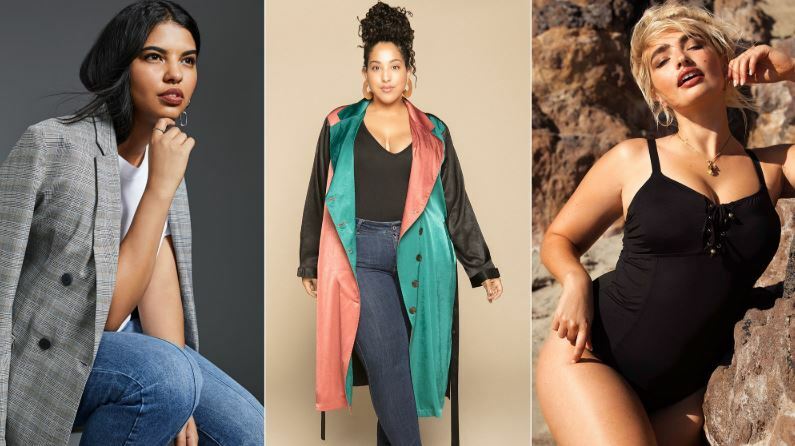 Brands like Reformation and Loft recently expanded their size ranges, but newer brands are on a mission to serve the curvy consumer in a whole new way, changing the entire perception of the plus-size fashion industry. With cool new visions and fun collaborations, these labels have changed the game — and you’ll want to be in the know from the beginning. As a new contemporary multi-brand website of curated products at an accessible price point, CoEdition is a brand-new name to know. Not only can you shop apparel (sizes 10-26), intimates, activewear, swim, accessories and footwear, but the site is also launching a forum for like-minded shoppers and influencers who are eager to share style tips, inspiration and feedback. Although the site is new to the market, its founders are not new to the retail game. Founded by a team of four former Gilt executives, the brand’s mission is to provide excellent customer service, focusing on wardrobe solutions, size and fit, as well as incorporating fun back into the online shopping experience. The British size-inclusive brand is relaunching – and in a major way. The brand will offer U.S.-exclusive collections (available in sizes 6-28) inspired by specific regions in the U.S., which is highlighted by their new campaign, shot in Palm Springs and L.A., and featuring Natalie Nootenboom (niece of supermodel Devon Aoki and DJ Steve Aoki) and Sports Illustrated swimsuit model and face of Khloé Kardashian’s Good American denim brand Sarina Nowak, modeling swimwear, athleisure and festival collections. “We have a responsibility to empower women and this comes in many different forms,” says Rich Storer, U.S. Vice-President of Marketing, Americas, at N Brown Group. has been a leading voice in the fashion industry for over two decades, promoting body positivity to women of all ages. “As a curvy woman in a high-fashion world, I believe in helping woman find confidence within themselves,” she says.